In this tutorial, I will show how to send push notifications to your browser from your backend. 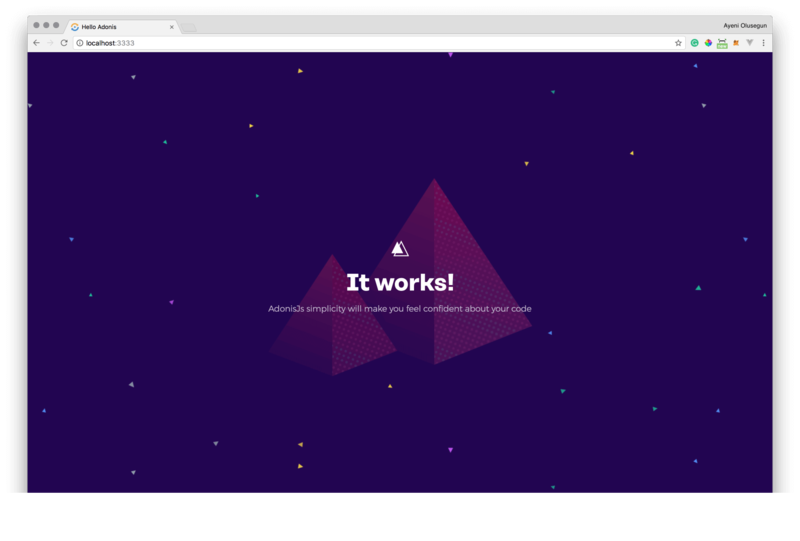 We’ll use Adonis.js as our Node.js framework, and we’ll push notifications from our Adonis app to our browser through Pusher channels. Web push notifications are an instant means of direct communication between a website and its customers. They appear as clickable messages on web browsers in desktop and Android devices. This is the easiest way to gather more subscribers without collecting email IDs and contact details. <input type="text" name="message" placeholder="Send Notification"
Go to Pusher and create an account or sign in if you already have an account. We’ll use these keys further in this tutorial to link Pusher with our Adonis project. In order to make requests to our backend, we need to define our routes and a controller responsible for the logic our app should have. The first two lines pull in the Route and Event providers for us. Next we tell our app to render the welcome.edge view to the / get request. And the last route accepts a message from the client and defines the sendNotification function (which we’ll create very soon) for handling the logic. We first pull in the Event service provider, then we accept a message from the client post request. Last we emit an event named send::notification and redirect the user back with a flash message. Create a filename event.js in the start directory. In this file we’ll create an event which will be fired every time we need to send a message via Pusher Channels, and as it happens a notification via Pusher Channels. We need to pull in the Event, Pusher (using the adonis-pusher package we installed earlier) and Env service providers. Next, we registered a listener for the send::notification event, after which we initialized and configure Pusher. This event was registered in the sendNotification function we created above to handle notification post. When we are done with the pusher configuration, we trigger a new-notification event on the notification-channel with the trigger method. First, we include the Pusher client library in order to use Pusher instance from our browser. As you can see we also create a notify function. This function takes the message we intend to send as a push notification in parameter, checks if browser push notifications are supported by the browser and display a new notification to us. Next, we initialize the Pusher service by passing in our App Key (replace with your actual keys), and some other options (cluster, encrypted). The initialized instance is used to subscribe to the notification-channel channel. 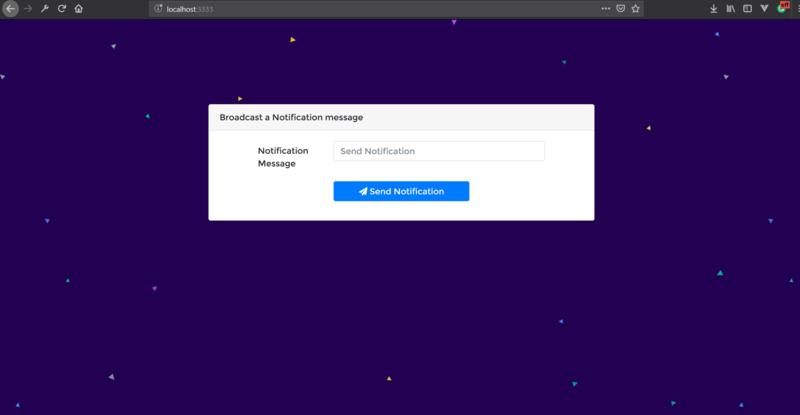 Finally, we listened to the new-notification event and send notifications with the notify function we created earlier. In summary, we learned how we can use Pusher channels to send notifications from an Adonis.js backend. Events sent by Pusher channels are listened on the client side and displayed as a push notifications using browser notifications web API. You can find the full source code on GitHub here.